I remember when I first heard the phrase “Artificial Intelligence” and how distant I was from giving it true meaning. At the time, the digital world was growing at a relatively slow pace, and I didn’t think that the online world was advanced enough to give Artificial Intelligence the time it deserved. Today, consumers have evolved, and expect more from the businesses they choose to interact with online. As a business owner, and digital transformation expert, I have understood that the mindset around both a consumer and marketer has shifted. Consumers want more engagement and personalisation, but; can businesses deliver without sacrificing time, and money? Yes. Any type of device or machine that understands its environment and takes an action to maximise the chance of achieving success and reaching a goal is the best way to understand how AI works. Self-driving cars, robots, and various types of machine learning including facial recognition and human speech programs are all classed as different types of Artificial Intelligence. There is now a huge amount of cutting-edge technology that is focused around delivering an enhanced experience for your customers which takes the best of artificial intelligence and combines it with personalisation. 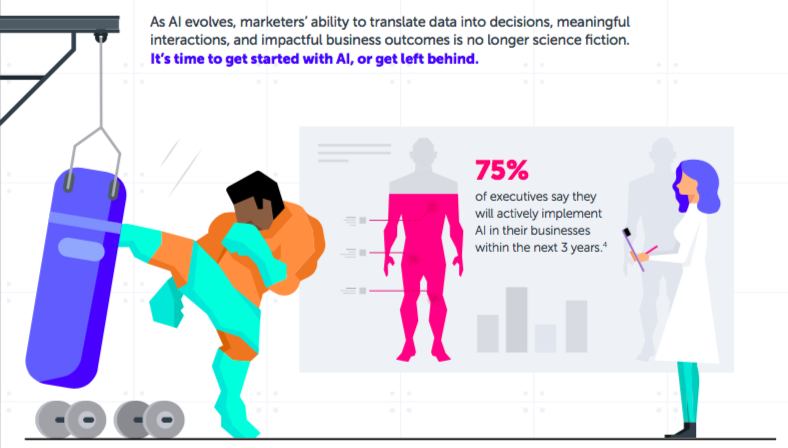 I was inspired to write this piece of content after reading an Infographic created by Marketo on the “AI-Empowered Marketer”. Here is how I see Artificial Intelligence enhancing personalised communication. Artificial Intelligence paired with personalised communication does have the ability to help you better understand your customer. 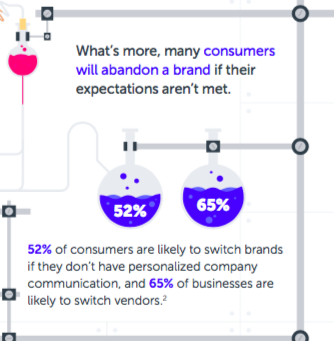 Expectations around your customer need to be met, and with the use of engagement, personalisation and AI, you can meet these before your customer abandons you as a business. Credibility online is built through long-term relationships. Getting closer to your target audience and engaging on a regular basis can be done through AI and this in turn will increase your credibility. Credibility, respect, authenticity and memorability are what your business should strive to achieve and with the help of machine learning, you can achieve success. Embracing a new mindset is something I talk about when I run webinars, or speak at an event. Part of going through a digital transformation to change the way you communicate online is about embracing a new mindset, and Artificial Intelligence can help you do this. Having this new digital mindset will help you better understand how your audience want to be communicated with, so that the time and effort you are putting into your personalisation is paying off both from an ROI perspective, and an ROE perspective. It’s no secret that I have been changing the way I communicate with my audience, and the experience I give my customers. 72% of businesses are in agreement with me that customer experience is their top priority. Thanks to the advancements in technology, this is something that can be used to improve customer experience, regardless of whether you are a small business, retailer or corporate. It’s true that the use of Artificial Intelligence does give businesses new and exciting opportunities to connect with their customers and build a more successful business. Think about how you can use technology to be more intelligent around the way you connect online. Look at the behaviour of your customers through the eye of machines, and use this as a way to get ahead of your competitors, and offer a unique perspective. For every webinar I ran, and for every online course I delivered throughout 2017 and 2018 so far, I ran paid advertisement campaigns. This included both Google, and social. I found that just running adverts wasn’t enough, so I invested in remarketing campaigns, and chatbots. Remarketing is where you create an ad that in essence, follows someone around the internet wherever they go. The more a potential customer becomes familiar with your business, the more likely they are to purchase from you. This also caters towards delivering personalised advertising. The above, combined with chatbots gives users an overall inclusive experience where they are supported throughout their online journey. Understanding your target customers buying personas is a great way to truly develop the thought process of your potential prospects. Looking at your prospects habits, their work environments and what motivates them can give you a 171% increase in marketing revenue if this is a part of your prospects buying persona. This is a part of the personalisation you offer online, and should help you craft all of the content you share online. As Artificial Intelligence becomes more ingrained in our day-to-day lives as business owners, we are exposed to even more data that has a stronger meaning. Being able to analyse and understand exactly what is working for your audience and to make sure that all interactions are as impactful as possible is going to be key moving forward. Omnichannel marketing is about using a variety of platforms to reach and engage with a large number of potential customers. On average, it takes 8 touch points for a customer to consider buying from a business. What are you doing for each touch point to make sure you are impactful? Artificial Intelligence and personalisation has helped me embrace a true omnichannel strategy. Here are my top three tips to help you get started with Artificial Intelligence. Use Artificial Intelligence to help you achieve your goals but first… you need to set them. Think about technology, your customers and how you advertise your business. 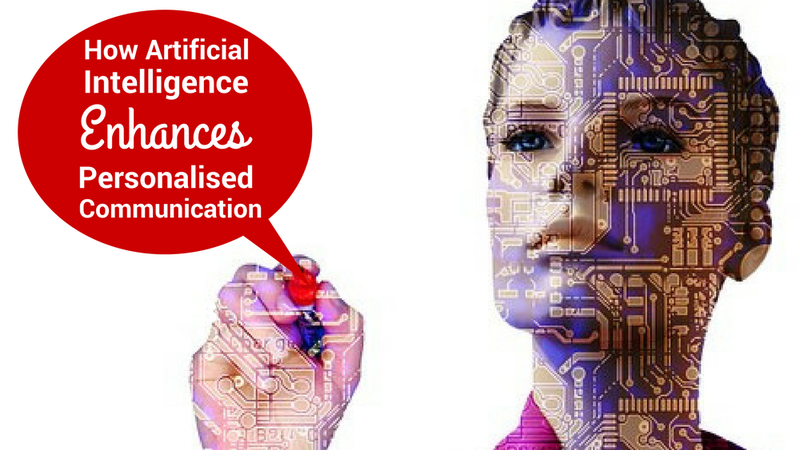 Artificial Intelligence and personalised communication might take time, and will require trial and error. Be confident in your audience, and trust that what they want from you as a business is going to help you achieve your goals. To increase the value of everything you do as a business, you need to analyse all of your data. Without truly understanding what is working you might be missing out on important customer interactions. Are you ready to embrace Artificial Intelligence?